Learn how to play Joni Mitchell – California note-for-note on guitar. 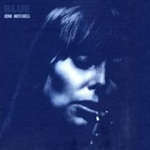 Joni plays dulcimer on this song and the lesson teaches an arrangement of her dulcimer part, arranged for guitar. The complete file contains a lesson video, a performance play thru video, full tabs, chords and lyrics. You’ll receive a link to download the lesson which will download as a zip file of 180 Mb containing all the lesson content. Jerry, there seems to be a virus that launches when I try to download a lesson. Is it on my end only or is there something wrong on your end? When I pushed “start download” my Google homepage switched to a MyWay page that I had to uninstall. The sales transaction won’t go through. It must be on your end Katie. I’ve replied to you by email. There is no ‘Start Download’ button on my site. You add the product to your cart and then checkout with Paypal. Katie my emails to you are being bounced. Can you send me an email from a different address?